Don’t Let Your Home Insurance Surprise You, Be Prepared! 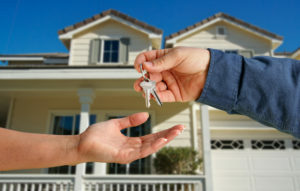 Every year in the spring, we get an influx of people asking for quotes on home insurance for a newly purchased house. But homeowners don’t always realize the price, in terms of insurance premiums, of certain features of a house. The best bet is usually to ask for a price quote on insurance before you put in an offer, but in case that’s not practical, here are some things to look for which might really affect your insurance rates. The age of the roof is something many realtors will be sure to find out on any home purchase – especially in Omaha where we get so much hail each year. But one thing you might not know is that any roof that’s over about 15 years old can be a problem for many insurance companies. They might restrict the coverage or they may require a large deductible on the roof before they will insure it. Also, be aware that the type of roof you have can impact your insurance costs. In fact, only a few companies will even insure wood shake shingle roofs anymore. Older homes have lots of charm, but if you are looking at one that’s over 20 years old, be sure the electrical has been updated. Old wiring is usually not up to current codes. And the wire insulation can break down over time, causing an unsafe situation. Faulty wiring is the leading cause of residential fires, according to the National Fire Prevention Association. So, any time the electrical wiring is older that 20-25 years, insurance companies may charge you more to insure the home. If the home you are considering was built before 1960, there’s a chance that it has galvanized plumbing. This type of plumbing corrodes and rusts over time. This, in turn, leads to leaks and can even mean you end up with sewage in your home! “Replacing old pipes in a 1,500 square foot, two bathroom home costs $4,000 to $10,000, and requires cutting open walls and floors,” according to HouseLogic. To save yourself the aggravation, and extra insurance costs, look for copper or PVC pipes for the plumbing. If you dream of a refreshing swim at your own house on a hot summer’s day, be aware that most insurance companies don’t have a problem with a swimming pool at a home. The problem comes in when that pool has a diving board or slide as these can also be a huge liability for homeowners. Once you’ve found the home of your dreams and you know it’s likely to be insurable, keep in mind that some things you might bring to the home can also be a problem for insurance companies. For example, certain breeds of dogs can be difficult or impossible to insure. If you are considering a German Shepherd, Akita, or Rottweiler you may have trouble finding insurance. And for Pitbull owners, it can be almost impossible. Trampolines are also a big issue for lots of insurance companies. If you’d like to talk to one of our highly-qualified agents about a home you’re are considering buying or want to get a free quote on homeowners insurance, please contact us today.